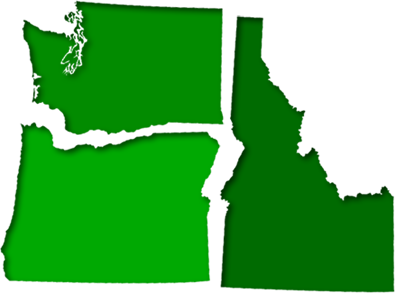 The Tri-Cities in Washington make up the 3 cities of Richland, Kennewick and Pasco, each closely tied to the one another and all converging near the Yakima, Columbia and Snake Rivers. These three cities are experiencing much growth as scientific research and an expanded wine making industry have created more jobs in the area. There is no shortage of things to do in the Tri-Cities, which keeps residents happy. With a gigantic selection of microbreweries and pubs, several farmers markets, the best tasting French fries and donuts in the West and dozens of exciting outdoor adventures at your fingertips, who wouldn’t want to live in the Tri-Cities? Some of the most enthusiastic residents in the Tri-Cities are pests, unfortunately. Try as we might, we cannot evict them from our cities but you CAN evict them from your home. It is possible to have a pest free home and with professional Tri-Cities pest control, you can attain it. Your home has everything you need to for comfort—warmth in the winter, cooling in the summer, food, water, a cozy bed to sleep in—and all these things are equally appealing to pests. They can literally smell them and will do everything they can to get inside. The instincts of pests drive them in search of food, water and shelter constantly. They know they must reproduce in a safe place and that they need to scavenge for food and water or they will die. These are very critical needs for them. While you may think, “A pest infestation will never happen in my home,” you are wrong. Without constant vigilance and careful prevention methods, your home could become victim to the damage, disease and burden of a pest infestation. Only by scheduling routine pest control treatments and inspections, can you truly keep your home pest free each and every year. Routine is very important when it comes to Tri-Cities pest control. Consider for example, how getting a dental exam and cleaning every 6 month keeps your teeth healthy and helps your dentist spot signs of damage, decay and disease. Based on statistics, this 6 month visit keeps your teeth healthier than those who don’t visit the dentist regularly. It is the same for pest control inspections. By employing a professional, licensed pest control technician who is skilled in spotting the subtle signs of pest infestations, you protect your home from damage causing pest invaders. Recovering from a pest infestation is expensive and exhausting. The cost to repair the damage and the stress to remove the problem really takes a toll on your bank account and mental health. It is simply too risky to not protect yourself from infestations. You need scheduled inspections all year long. The store shelves are lined with do-it-yourself pest control that promise great things. The problem with these things is that there is no “one stop cure all” for pests. You cannot use the same techniques for ants that you would use for spiders. Simply spraying chemicals all over is not only dangerous but ineffective. We can help you learn how to spot the first signs of pest infestations and show you how to prevent their entrance by finding areas of vulnerability around your home. You can then defend and strengthen those areas so pests are unable to enter. Pointe Pest Control utilizes the most effective methods for deterring and removing every type of pest. We are educated in all things pests and can answer your questions in depth. Call us today for all your Tri-Cities pest control needs, we are happy to help.